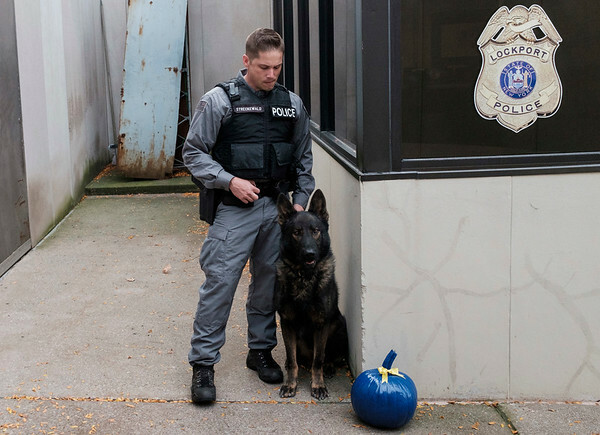 Joed Viera/Staff Photographer-Lockport Police K9 Officer Matt Streckewald and his partner Hulk stand by a Pumpkin painted blue in memorial of Buffalo K9 Officer Craig Lehner. Streckewald and Hulk both trained alongside Lehner and his partner Shield. Lockport police officer Julie Snyder painted over 30 Harris Farms pumpkins and placed them throughout One Locks Plaza.